Cambridge ran out clear winners in The Men’s Boat Race to complete a clean sweep for a jubilant Light Blue cohort. The power and poise of the Light Blue crew was too much in the end for Oxford, who had already made a personnel change in the week. Both crews began cleanly and it was the underdogs Oxford who took the initial lead. Once the crews settled into their race rhythms, Cambridge however clawed back the deficit and seized the initiative to lead along the Putney boathouses. That was never to be relinquished. Umpire John Garrett had to warn Cambridge to stay on their Surrey station, as President Hugo Ramambason swerved across into mutual water. Any Oxford attempt to recover was extinguished by a professional and clinical Cambridge boat, who had the bit between their teeth. By this time, Cambridge had built on their lead and had an advantage of over one length coming around the first little Fulham elbow. This was already dangerous territory for Oxford, who knew their opponents had the advantage of the long Surrey bend. 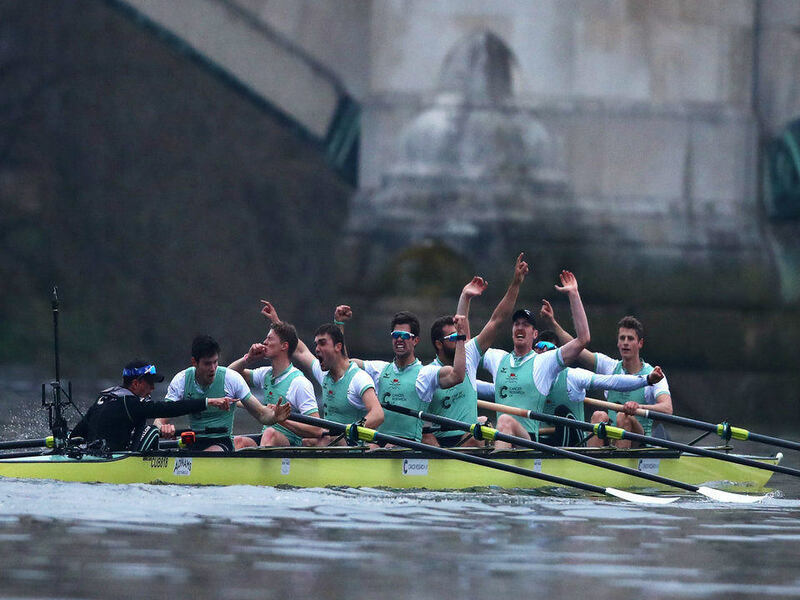 Cambridge continued to move away throughout the next three minutes, establishing a remarkable lead by Hammermsith Bridge to the delight of Light Blue supporters on the famous Boat Race landmark. The race fairly much followed a similar pattern from that point on – Cambridge continued to move away, buoyed by their dominance and powered by an American quartet in the engine room. Oxford could do little to stay the inevitable, and the sight of their bitter rivals disappearing into the distance was not a pretty picture for any Dark Blue supporter. Crossing the finish line, it was jubilation for the victorious Cambridge crew who finished in a time of 17:51 with a verdict of 3 lengths.